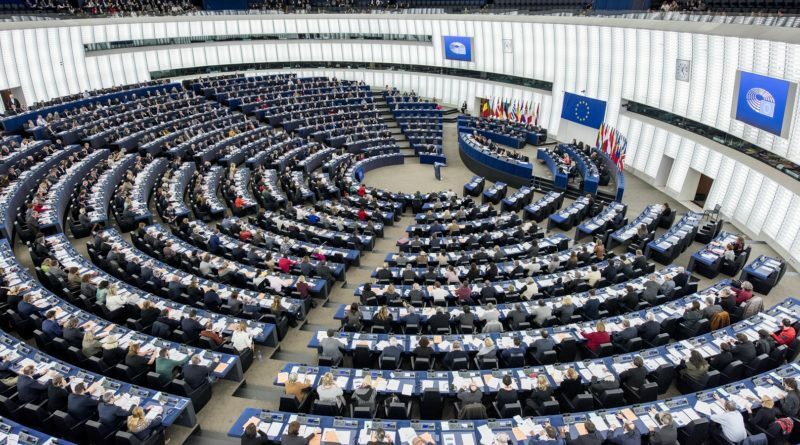 The European Parliament Committee reported a new analysis on Economic and Monetary Affairs asserts that cryptocurrencies can be used as an alternative to money. The report details on the exhaustive review on how crypto works and the impact it may have on the global economy. “The arrival of permissioned cryptocurrencies promoted by banks, even by central banks, will reshape the current competition level in the inter-cryptocurrency market, broadening the number of competitors. “Europe leads, at the international level, the supply of wallet and exchange services, with 42% and 37% in terms of the number of players. It is also the principal actor in payments (33%). Nevertheless, the main weakness of Europe is the concentration of the mining activity on non-European countries (Europe only capture just 13% of the current mining market). “Other innovations with a relevant impact in the financial sector are the cryptocurrencies, like Bitcoin, which are digital currencies that operate in a decentralized way by means of P2P technologies, like blockchain, and without participation or supervision by any central bank or institution. These cryptocurrencies offer technological and operational paradigms that are a source of disruption for the entire sector, including monetary policy and financial stability. “Digital currencies, also known as ‘virtual currencies’ or ‘cryptocurrencies’ can be defined as ‘a digital representation of value, not issued by a central bank, credit institution or e-money institution, which in some circumstances can be used as an alternative to money. Their value is determined by the law of supply and demand, relying on potential exchanges for other goods or sovereign currencies, and it is not backed by any monetary authority (decentralized character). The supply (creation of new units) is often managed by computer algorithms, which help to create scarcity to maintain value. The market for digital currencies is characterized by competition between currencies (inter-cryptocurrency market) and competition between exchanges (intra-cryptocurrency market). While each sub-market, namely mining, exchanges, wallets, and payments, is subject to diverse dynamics which may result in different competition issues, there are also common factors among them. One of the most relevant is the presence of network effects. Another potential anticompetitive factor is the standardization of distributed ledger technology (DLT) and other technical protocols. Private or public consortia agreements in relation to technical standards may affect the market entry or have an impact on current costs. Denial of access to the gateways of traditional banking activities, such as payment systems for bank account transfers or card processor schemes, is also a potential anticompetitive behavior. The arrival of permissioned cryptocurrencies promoted by banks, even by central banks, will reshape the current competition level in the cryptocurrency market, broadening the number of competitors. However, the market power of banks in traditional banking services might be used to limit competition in the cryptocurrency market through pre-emptive acquisitions or predatory pricing schemes. The discussions over cryptocurrencies and Blockchain technology is eventually rising among the policymakers and regulatory bodies all over the globe. Recently SEC approved CoinBase for the listing of security tokens on their platform, now the platform provides its customers with a broader range of financial services which also includes Institutional Investors. The European Parliament Committee also took cryptocurrencies and Blockchain technology on a serious note and gave their detailed observation on the same. Now, every country will try to level up their game by providing regulatory norms that will be conducive enough for the cryptocurrency and Blockchain technology industry.